Security researches from the Polish firm Security Explorations have released a massive slew of PoC code and technical details on 30 Oracle Java Cloud Service Vulnerabilities. It seems like they had already reported them to Oracle, but weren’t happy with how things were handled, so have decided to go public with the weaknesses. They gave them a fair amount of time too, over 2 months to address the issues in the cloud data centers. As a fairly new service though, it seems Oracle is having some issues with policies and handling incidents like this for their cloud service. 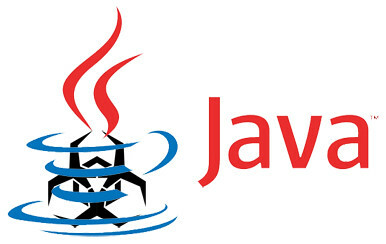 Security researchers released technical details and proof-of-concept code for 30 security issues affecting Oracle’s Java Cloud Service, some of which could allow attackers to compromise business-critical Java applications deployed on it. Researchers from Polish security firm Security Explorations, who found many Java vulnerabilities in the past, decided to publicly disclose the Java Cloud Service security weaknesses because they weren’t satisfied with how Oracle handled their private report. “Two months after the initial report, Oracle has not provided information regarding successful resolution of the reported vulnerabilities in their commercial cloud data centers (US1 and EMEA1 respectively),” Adam Gowdiak, the CEO and founder of Security Explorations, said Wednesday via email. The Oracle Java Cloud Service allows customers to run Java applications on WebLogic server clusters in data centers operated by Oracle. The service provides “enterprise security, high availability, and performance for business-critical applications,” Oracle says on its website. It seems like Oracle has a fair amount of security measures built into the Java cloud (whitelisting, sandboxes etc) – but they don’t work properly. Which in my view, is often more dangerous than having none at all. If people know there are no security measures, they will act and configure accordingly – especially for tech-centric platforms like this. But when the vendor, in this case Oracle, claims there are strong security measures in place – people will tend to relax their own implementation a little. Potential attackers only need one-time access to the service to learn its specifics and can later break into all Java Cloud user accounts from the public Internet, Gowdiak said. Attacks can also be carried out from trial accounts because there’s no separation between trial users and paying customers in the regional data centers, he said. Oracle confirmed the 30 vulnerabilities on Feb. 12, but failed to provide Security Explorations with a monthly report on their status in March, as it had been agreed, Gowdiak said. They are some quite serious issues too, allowed users to gain access to userspace of another user in the same regional DC. Oracle has confirmed the vulnerabilities, but as of yet – has failed to provide any status updates regarding fixes/improvements/patches etc. The attacks can also be carried out from a trial user account as there is no separation between trial users and paying customers. It seems like a generally poor architecture and sloppy design by Oracle – I hope this makes them really step up their game. I love ur job n how far canit take me to learn?